Spring has sprung quite quickly here, and after that last bit of cold front a rain out at the Market last weekend, we have great weather forecasted a busy month ahead ! This weekend, we do double duty, covering the Saturday Morning Market in downtown St. Pete, and also bringing our Tropical plants to Gilchrest Park in Punta Gorda. 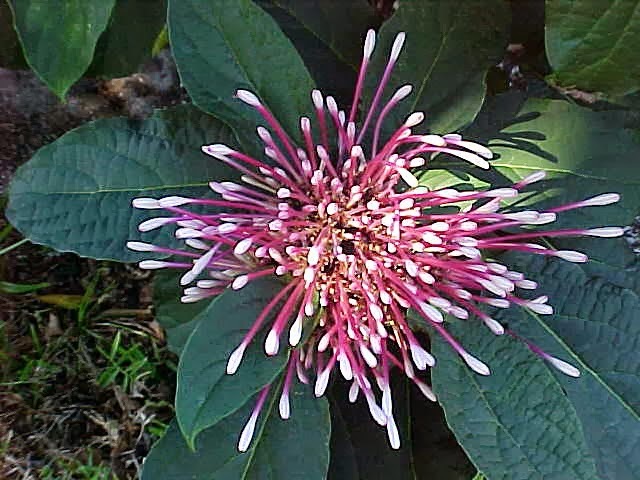 We have a ton of great new stuff, one of which is the outstanding large blooms of the Starburst Clerodendron, shown here. They bloom from Spring into Summer and make a spectacular display in your garden area. We are also ramping up on our selection of spring and summer perennials such as Sunflowers, Gallardia, Lavender, Geraniums, digitalis, cleome and more more more. We also have some great new specimens for your shade gardens with new ferns, Lemon Lime Philodendron and the Epidendron orchid. The Vietnamese tropical Hollyhocks are just starting to bud out, and will be a steady presence over the spring time at our Markets and Shows. Colors include, red, pink, crimson, peach and purple. We will start bringing them out next weekend in Orlando, at Leu Gardens show. That next weekend, March 14 & 15th, we head to Leu Gardens in Orlando, for their big Spring plant sale. Normally, we do the the Marion County Master Gardener Spring show in Ocala, but they changed their dates to the same weekend as Leu and we can only be in one place at once, so we had to sacrifice the Ocala Show in order to have our usual big presence at Leu. We will be writing more about Leu next week. Also market on your calendars that Greenfest in Tampa, and the annual spring sale at Tropiflora nursery are both happening the last weekend of March. For those two shows, we WILL be covering both, since they are local, so more to come about those. Hope you can get out and get some fresh air, sunshine and visit your local Markets this weekend !